User types are what people describe themselves and their partners with, as in ‘I am a woman looking for a man‘. 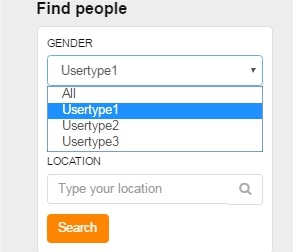 One could say that user type equals gender, although that is not quite the case. The fact is that you can create as many user types as you wish and give them any names. To do that, access administration panel and go to Content > User types > Add option (/admin/properties/property/user_type). 1. Names of user types can be translated into all active site languages. 2. 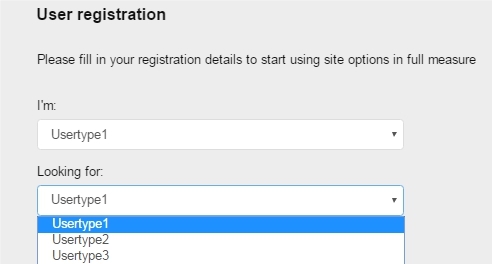 If you delete a user type, all existing members who selected this option during registration will be left without any such info and will not be found in search. If you decide to create a new user type, unattached members may be put into this new category automatically, if the user type IDs match. That is why it is important to create all required user types prior to the big launch to avoid possible confusion.